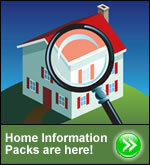 Free Home Survey –Home Insulation Survey UK. You can trust our experience and knowledge to locate the Home Insulation experts that best suit your individual needs. Fill in the form below and we’ll help you find a reliable and professional company that will give you a free ‘no obligation’ survey for the service you require. PLEASE NOTE: The information that you provide will not be given or sold to any third parties. Have you had a previous grant in the last 10 years for the same work? Have you had a visit from a surveyor for the work? Was the property built in 2000 or later? Does the loft have a hatch for access? Is there room for someone to work in the loft? Has the loft been converted? Roughly when was the loft last insulated? How deep is the present insulation? Is the loft empty, or can it be emptied? Roughly how old is the property? Does it have cavity walls? Thank you for taking the time to fill in this form. Once you have pressed submit button below, we will receive your details and start searching for the best scheme on your behalf. You will receive a response from us within the next 24 hours.